M.Sc., CEO, Blueprint Genetics Inc.
Tommi runs Blueprint Genetics, a clinical genetics company based in Helsinki, San Francisco, and Dubai. He is a co-founder of Blueprint Genetics and has managed it since the beginning. He has grown Blueprint into a team of 150 professionals and in his role splits his time between the Bay Area and Helsinki. 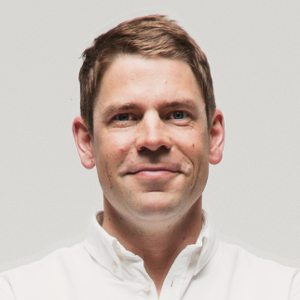 Prior to Blueprint Genetics, Tommi founded a data analytics company called Whitevector and grew it to the Nordics and UK. Tommi holds a M.Sc. (Tech) from the Helsinki University of Technology where he studied business strategy and applied mathematics. Clinical Dx Showcase: Blueprint Genetics Inc. Blueprint Genetics provides genetic testing and clinical interpretation for inherited diseases with unrivalled transparency and quality. After massive increase of sequencing and bioinformatics capacity, clinical interpretation has become a bottleneck and source of variation for patient results in clinical genetics. A fully outsourced clinical interpretation enables uncompromised scalability, repeatability and quality management.